I often catch myself wondering if all women artists are feminist, and how their feminist thinking influences their work. Art is after all a medium of self expression and artistic creation most often than not is an artist’s perception towards life. One artist who has translated her feminist thinking into a visual language is Navjot Altaf. Her artwork exemplifies her feminist views. Born in Meerut (1949) this multi-faceted artist expresses her socio-political concerns through her artwork. A painter, sculptor, installation artist and filmmaker, Navjot Altaf is all of these and more. While her subject matter questions the varying societal and religious injustice, her medium of expression sees no boundaries either. The materials incorporated in her repertoire are wood, iron, acrylic, inkjet on paper, channel videos and more. Having graduated from Sir J.J School of Art, she was introduced to the likes of Paul Klee and Joan Miro, as well as, visual initiation to the works of Gaitonde, Bendre, Hussain, Mehta and Hebbar’s works. A personal interaction with Altaf Mohammadi sparked and nurtured her already existing humanist values to more progressive ideals. Her High school education on Hindi literature, English and Psychology has a deep impact on her creation. She has exhibited at several international forums including ‘Bombay/Mumbai 1992-2001’ in Century City: Art and Culture in the Modern Metropolis, Tate Modern, London; and the Eighth Havana Biennale, 1994, ‘Expressions Women’s Cultural Festival in Mumbai 1990, Festival of Indian Contemporary Art, Covent Garden, London 1988, ‘Intergrafik 87’ Berlin, the first international Biennale of Prints, Sao Paulo, 1986. Navjot Altaf is known to interact and collaborate with artists and communities from various places. ‘Through the Binoculars’ a series, she makes a statement of observing other cultures, coproduced with Shilpigram, a handicraft community sponsored by the government. From here on Altaf went on to make collaborative projects. 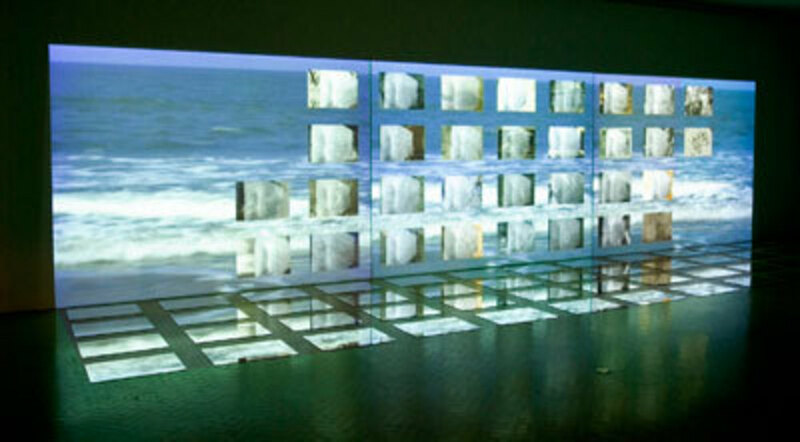 Her exhibit ‘Water Weaving’ at Talwar Gallery in New York (2005) was an art en masse. A film on weaving that was based on marginalized tribal group in Bastar, was created with the help of the locals.‘Lacuna in Testimony’, a video installation is based on the traumatic result of the Gujarat Hindu-Muslim riot, 2002.The artist gives a glimpse of history and unreasonable implosion created by mankind in an allegoric visual representation of the Arabic Sea. Her current exhibit ‘Horn in the Head’ at Talwar Gallery is a solo exhibit. A three part installation- A Woman & Two Donkeys, Agkuklios Paidea and Same Difference,conveys the recent changes in world. The exhibition is on from September 27- December 7, 2013.